I came across spoken word poetry for the first time while getting my teaching degree. For a particular class, a fellow student played a video of a teacher sharing what he makes. Another played this video of a young girl letting people know where she is from. 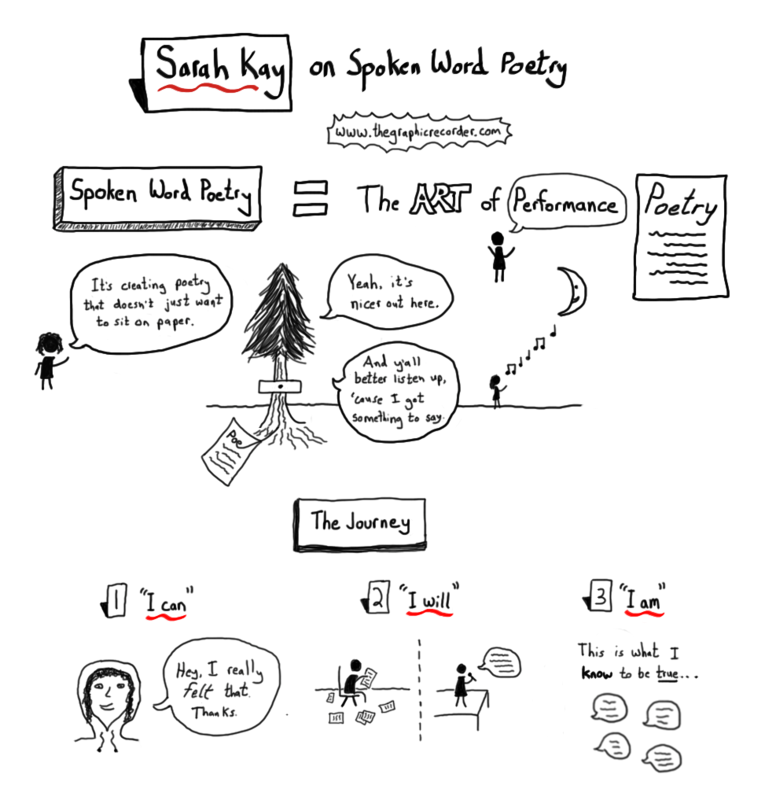 These videos, and the topic of spoken word poetry in general, arose in the context of learning how to teach ELD (English Language Development). Giving students the chance to write their own poems and then stand up in front of their peers is so powerful, and such a great learning experience, no matter what the subject. If you are a teacher, I encourage you to give it a try. One of my long term goals with this website is to support the movement in schools to bring the arts back into the classroom. With so many budget cuts over the past few decades, far too much emphasis has been placed on a narrowly-defined skill set of reading, writing, and arithmetic. Only now that I have exited the school system, and been trained to be a teacher within that system, have I realized the simultaneous need for reform and difficulty in bringing about reform. I commend Kay and her collaborator Phil Kaye for their work with Project Voice, which encourages kids to express themselves through spoken word poetry.